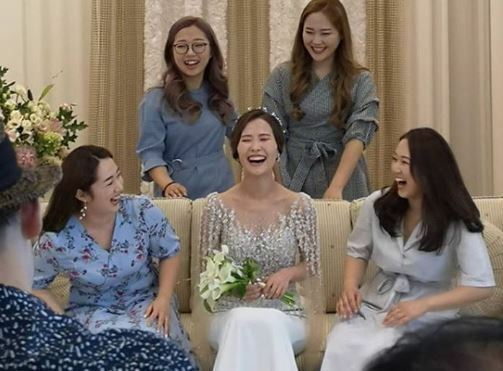 Kim Eun-jung, the captain and the skip of the Korean women’s Olympic curling team, tied the knot on Saturday. The wedding was held in Daegu, where the groom works as a skating coach. The two had reportedly been dating for roughly five years. Members of the Olympic curling team gathered at the ceremony to celebrate the couple. The Korea women’s curling team captured the world’s attention at the 2018 PyeongChang Winter Olympics after they beat more experienced teams and nabbed the silver medal. 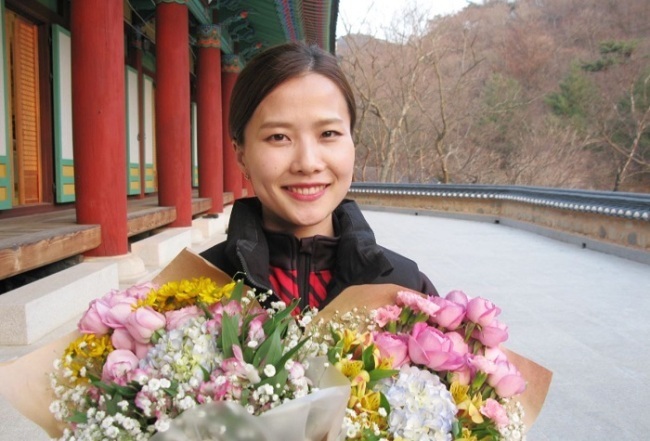 The team is fondly referred to as Team Kim because all of the team members’ last names are Kim -- Kim Min-jung (coach) Kim Eun-jung (skip), Kim Kyeong-ae (third), Kim Seon-yeong (second) and Kim Yeong-mi (lead) -- and as “the Garlic Girls,” because the team’s hometown is Uiseong, a county in North Gyeongsang Province, where garlic is the region’s major produce. Kim will continue her sporting career after the wedding.